I hated The Apparition, it’s an appallingly poorly executed movie that had a terrible screenplay which stitches together random scenes in the hopes of scaring audiences and even on that front it miserably failed. The actors weren’t terrible but with nothing to work with, none of them came through very well save for maybe Ashley Greene. Nothing more to say but this is one film that should be skipped as there is no redeeming value at all. It’s not very often a movie receives a perfect score, or an A+ grade, but they are far and few between with me. On the flip side, it’s not often a film gets a failing grade either but Dark Castle’s The Apparition has joined the ranks of BloodRayne, Leonard Part 6 and Pulse in the bowels of crap films that I’ve encountered. This wafer thin plot, such as it is, opens on a college campus as a few science geeks, who have seen Japanese horror movies and Flatliners one too many times, gather equipment to hold experiments to breach the other side and prove the existence of ghosts. 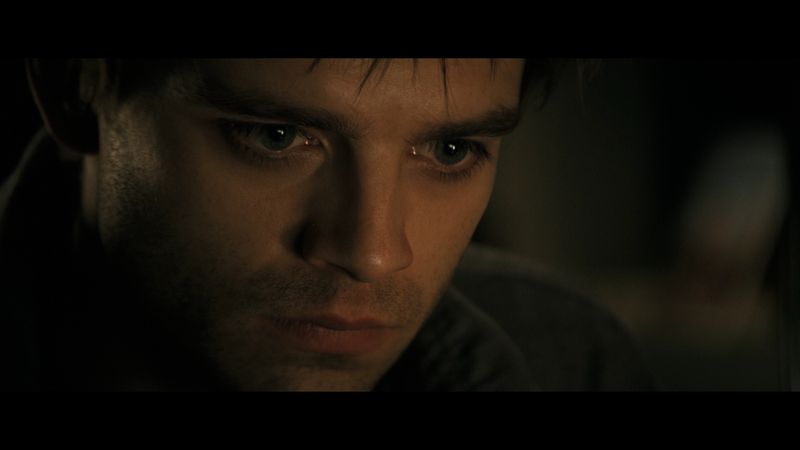 We next meet generic in-love couple Kelly (ASHLEY GREENE) and Ben (SEBASTIAN STAN). The couple lives in a secluded and relatively empty neighborhood, in an investment home owned by Kelly’s parents. Seems like the writer put more thought into why the young couple can afford a nice home instead of the plot. In any case, strange things begin to happen. For example, one night they fall asleep on the couch watching a movie and when Kelly awakens, their front door, which is nearby, is wide open. Exploring the home, the backdoor is also open yet the alarm did not ring and the deadbolt to the back was still in the locked position. They call the security company who merely chalk it up to kids pulling pranks since most of the homes there are empty (yeah, certainly being within arm’s length of harm will comfort hottie Kelly). For his part, Ben does install security cameras around the property to put her at ease. So with that out of the way, life goes on but more strange occurrences continue. Kelly takes a PG-13 rated shower and when she returns to her closet, discovers her clothing in knots and hangers in a twisted mess and nasty scratches on the wall! Luckily she’s wearing skimpy clothing (at least for the guys watching) for the next few minutes, otherwise one would be dosing off by this point. She’s thoroughly creeped out knowing something otherworldly is happening and does not want to stay in the house. The solution? Sleep outside in a tent, of course. But the entity still terrorizes first ripping down the cameras and actually picking one up (this is from the camera’s viewpoint, so we don’t see what it is) and like a perv, films Kelly sleeping (Ben is checking out strange noises at this point). So what exactly is going on? Well, Ben has his own secret as he was one of those college students who initialized the experiment and has been ignoring urgent messages from paranormal friend Patrick (TOM FELTON) who, in a video, explains he has reopened the experiment and realizes that it was a mistake and that Ben is in danger. Eventually Ben has to fess up to Kelly what is going on and that this entity (I’m avoiding using the film’s title) and the pair finally decide to stay in a hotel for the night. But even there, the malicious entity tortures them first by taking Ben out of his body and supplanting him on the ceiling (wtf?!?) and then mummifying Kelly with the bed sheets (again, WTF?!?). After narrowing escaping, Ben finally makes contact with Patrick and they meet up where he explains that this apparition (there, I said it) is not haunting the house but them and that it has even more malicious intent than previous thought as it is studying them as it wants to belong to this world… or some such BS. How does Patrick know this? I have no clue, I guess because the screenplay told him? The Apparition is simply put, a poor excuse of a film. According to Box Office Mojo, the film cost $17 million to produce and one wonders where exactly that money went. The cast doesn’t do themselves any favors, though I can’t also blame them for stumbling around a plot writer/director Todd Lincoln didn’t even understand. For her part, budding starlet Ashley Greene is OK, Sebastian Stan is out of his element in a lead role (versus a smaller part in Captain America) and Tom Felton continues his post-Harry Potter career with a dud. While the actors didn’t precisely give thrilling performances, I lay most of the blame on the producers for not giving the screenplay a few more passes and, especially, Lincoln for unleashing an appallingly awful film among the public. Where were the producers to keep the relatively inexperienced director in check? Why would a screenplay go through the presumably vigorous process with random “scary” scenes that make little sense just to get us from one moment to the next? 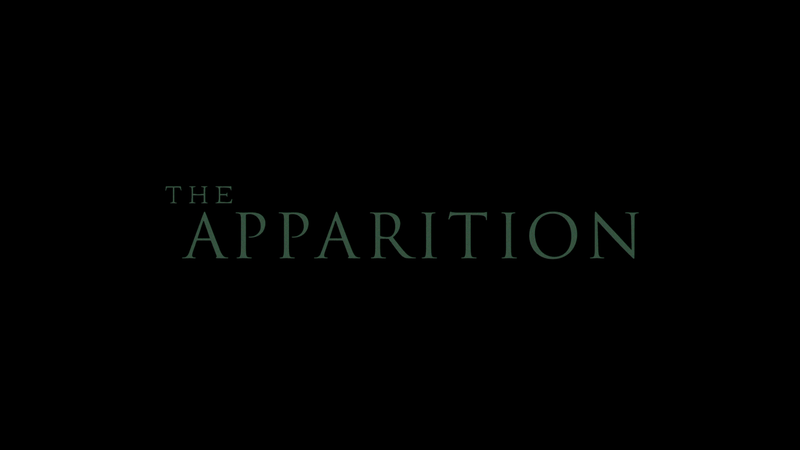 It truly is appalling to see such a substandard project actually get to the big screen, though in fairness to distributor Warner Brothers, they made The Apparition the smallest wide-release in their history (only 810 theaters and a paltry $4.9m domestic gross). It’s no wonder why this was a turkey, it boils down to this was a poorly executed movie with a terrible screenplay that stitched together different scenes which Todd Lincoln tries to make a connection with the overall story… and still woefully failed. If you have any self respect that your time is worth anything at all, please skip The Apparition. It’s not scary, the story is at best lame, the plot makes no sense whatsoever and the actors, albeit slightly talented, are no match for a messed up screenplay. The only reason I did give this a 0.5/5 is 1) Ashley Greene is too cute to ignore (yes, I am a superficial male), 2) the score by composing duo “tomandandy” wasn’t bad and 3) when you take out the credits, it’s only 73-minutes long (though it felt longer!). This release comes with a matted slip cover. The features here are pretty superficial and a couple is only tacitly related to the movie. All told there’s only about 26-minutes worth of material. The Apparition: A Cinematic Specter (4:20; HD) is an EPK behind-the-scenes featurette that has the cast and crew chat about the story. The Dark Realm of Paranormal (5:10; HD) – This takes a look at a radio interview with Joshua P. Warren (who was a “ghost consultant” on the movie), one of those personalities who examine otherworld stories. Haunted Asheville (7:36; HD) – This featurette examines the bizarre events that have occurred in the town of Asheville, North Carolina. Once again, Warren is back talking about what makes the place so interesting on a paranormal level. The Experiment of The Apparition (8:46; HD) has Joshua Warren back examining a real-life experiment to make contact with ghosts. Also included is an UltraViolet Download Code and a DVD Copy. The Apparition haunts and taunts on Blu-ray with a standard looking 1080p high-definition transfer. Presented in its original theatrical 2.40 aspect ratio, the film doesn’t quite pop off the screen very well, I don’t know if it’s due to cheap cameras but it’s disappointing that a new release didn’t look better. On the plus side, the dark levels were pretty good – though at times pixilation does show up – and some of the details were fine in some shots. The disc comes with a 5.1 DTS-HD Master Audio track which is the strong suite of the release with some incredible and loud sounds through the more “scary” scenes while the quieter moments, with floors creaking and crap dialogue, shining nicely through each channel. Overall, if you can’t tell I hated The Apparition, it’s an appallingly poorly executed movie that had a terrible screenplay which stitches together random scenes in the hopes of scaring audiences and even on that front it miserably failed. The actors weren’t terrible but with nothing to work with, none of them came through very well save for maybe Ashley Greene. Nothing more to say but this is one film that should be skipped as there is no redeeming value at all.